Had the best time with Mark while riding bikes around Barcelona. He was very professional, watching out for people and cars, as we toured around the city and ocean front for 3 hours at a slow pace. Mark did a great job explaining all the sites and recommended a few restaurants. You don't have to be in great shape to do this ride cuz we went slow, stopped many times and didn't have any hills to worry about. Give your feet a rest and hop on a bike. Great time. Thanks Mark. We thoroughly enjoyed our walking tour with Mark. He showed us the hi-lights of Barcelona and explained the history of the area. Mark was very engaging especially with our 2 teenage daughters. 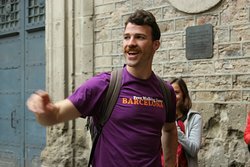 He is a wealth of knowledge and his tour is a great way to start a visit to Barcelona as he provides local tips and even his own map for the rest of your visit. Highly recommend this tour. Mark provided us, me ,my wife, and granddaughter (age 13), an incredible orientation tour of Barcelona. But Mark provided much more. 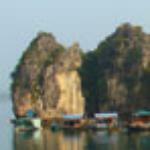 From my initial email contact, Mark provided information on how to structure our visit, what sites required timed reservations, how to utilize our time best, and what we shouldn't miss. He was unbelievable in incorporating my granddaughter into every conversation and she adored him..My last email to Mark included the following: "t was an absolute pleasure being with you yesterday. You were wonderful in dealing with Evelyn and we all found your orientation tour so informative. And thank you for "going the extra mile", both in extending your time with us and in providing the metro instructions we found at our hotel door last night." If you are planning on visiting Barcelona, contact Mark. Mark was the absolute best tour guide! Not only did we see everything and have the best day, but our kids loved him. Mark went over the top to make sure we had snacks and waters and truly saw Barcelona in style on bikes. It didn't hurt that we had fantastic weather. We recommend him highly and can't wait to do it again when we return!!! 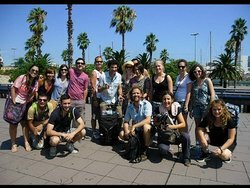 It was a great experience to see Barcelona from the perspective of a local. Walking through the bylanes, streets was an amazing experience. I would definitely recommend this trip to someone who wants to see the real Barcelona. Me and my husband loved the tour. 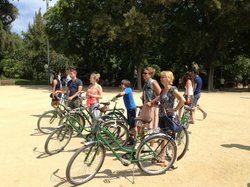 Marc offers guided walking tours and biking tours in Barcelona. 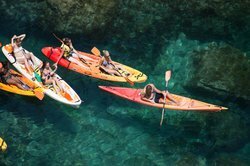 In 3 hours you have seen quite a nice selection of what Barcelona has to offer, which makes it much easier to decide what you want to visit in more detail. He knows his stuff and took us also to some places which we would never have found on our own. He also has some great tips on authentic tapa bars and restaurants - and that on its own is worth the money!